With summer now behind us, for most of us that means back to the usual grind. However, if you still have some vacation days available, fall is the perfect time to itch your travel bug. 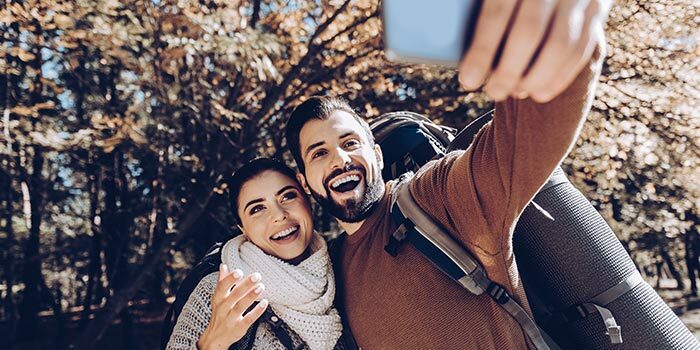 Although fall is considered a shoulder season with most of the summer heat gone and cold weather on the horizon, travel in fall has its own impressive appeal for many. First and foremost, unlike summer time, fall is not considered "high season" in travel terms. Therefore, you can find some amazing deals on hotels, resorts, and flights. In fact, you may not even have to hunt around too much as it's considered industry-standard for destinations to have one price for high season, and another for the rest of the year. Simply because it's no longer high season, you can book your vacation at a fraction of the cost during other months, which automatically make Autumn one of the cheapest times to get away. The absolute best thing about fall is that there is still plenty of sunshine. Having saved money on your trip, you can enjoy a lot of the summer vibe, but at a heavily reduced price. Sure there still might be the occasional super hot day, but overall the weather is much milder in the fall which makes being outside a little bit easier for all of us. If you love being outside, then fall is a real treat for all the senses. From hiking through beautiful landscapes, apple picking, boating through calm waters or strolling through a local park covered in yellow, orange, and red leaves. Fall is definitely a beautiful, picturesque, unique time of the year. Thinking local? Try taking a road trip or renting a unique cabin surrounded by the woods and bask in the beauty of fall (just don't forget the pumpkin spice). With less and less people travelling versus the summer time, Autumn means fewer tourists and smaller crowds. This, of course means no crowded popular destinations, pools, museums, and other tourist attractions. Fewer tourists around also means you have more time to take a great snap of The Eiffel Tower, Pantheon, or that perfect beach sunset without dozens of others in your photo. Lastly, fewer people around allows you to be more flexible with your schedule, without the risk of things simply selling out. Fall travel is looking better and better! I don't know about you, but I personally love all the unique recipes and cuisines that fall brings. Mushrooms, pumpkin, apples, sweet potatoes, and pumpkin spice (yes I said it again) are just a few of the delicious seasonal elements you'll get to experience in Autumn. When travelling and searching for dining options, indulge in the flavours of fall by looking for restaurants with seasonal menus. Better yet, look for restaurants that offer tasting menus where you and a partner can explore half a dozen Autumn inspired dishes. Ultimately, wherever you decide to go this fall, remember Ferratum Money can help you get there. Our smart Personal Loan is the fastest way to make things happen. With our easy online application, upon approval you'll have the funds you deserve deposited directly into your bank account in generally under 24 hours. The fastest in the industry! No paperwork, no waiting in line, no banks! So are you travelling this Autumn? Be sure to take Ferratum Money with you on your journeys. Apply today.